AMA employed to provide mechanical and electrical services design for an atrium infill project at the Boundstone Nursery and Family Centre in Lancing. 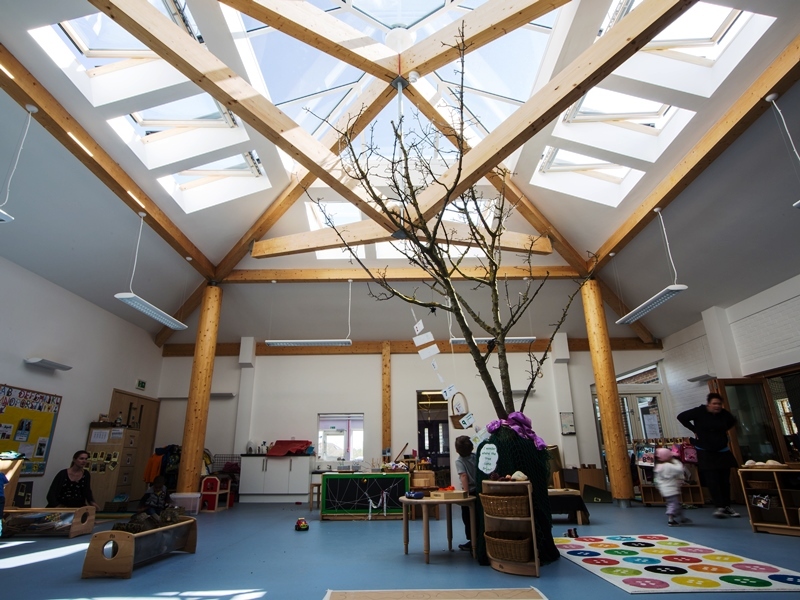 The project created a new covered multi-purpose atrium space at the centre of the nursery. AMA worked with the architects providing performance M&E design, including building energy modelling for overheating and daylight analysis using IES Virtual Environment to assist with the design of rooflights for sufficient ventilation and natural light.